The Jordan Westbrook 0 Mens Shoe is Russell Westbrooks first signature shoe, featuring a sleek, minimalist design in premium leather for effortless off-court style.&ampnbspPremium leather with embossed reptile pattern on toe cap. Simple, low-key factory footwear was highly appealing in the early 1960s and it is this fact that provides the style inspiration for many of the styles in the Reinvented Collection the ultimate example of youth culture championing working-class style. Womens 8 Eyelet 1460 Boot. Hi Shine Snake is a Suede leather with a reptile pattern emboss. Heel loop. Goodyear-welted, the upper and sole are heat-sealed and sewn together Dr. Martens air-cushioned sole . 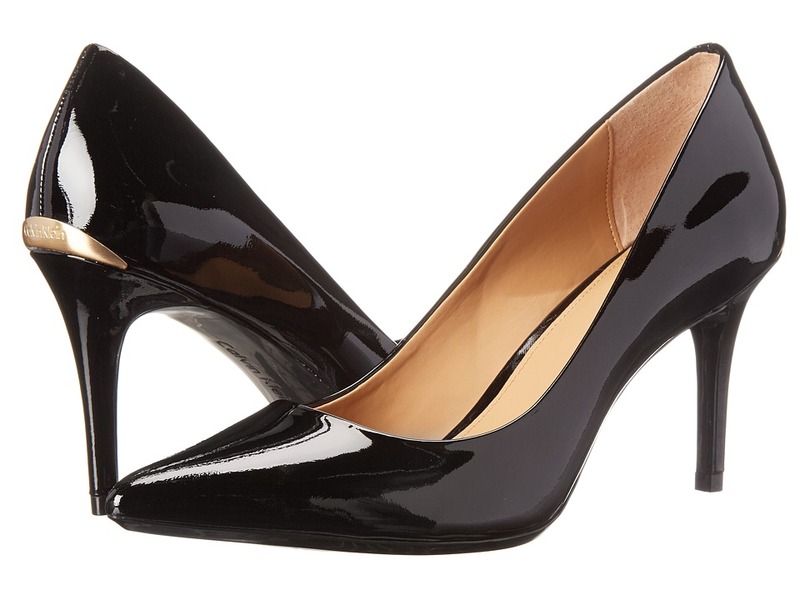 You will adore the simple elegance of the Gayle Pump from Calvin Klein. Approx. 3.5 inch heel height. 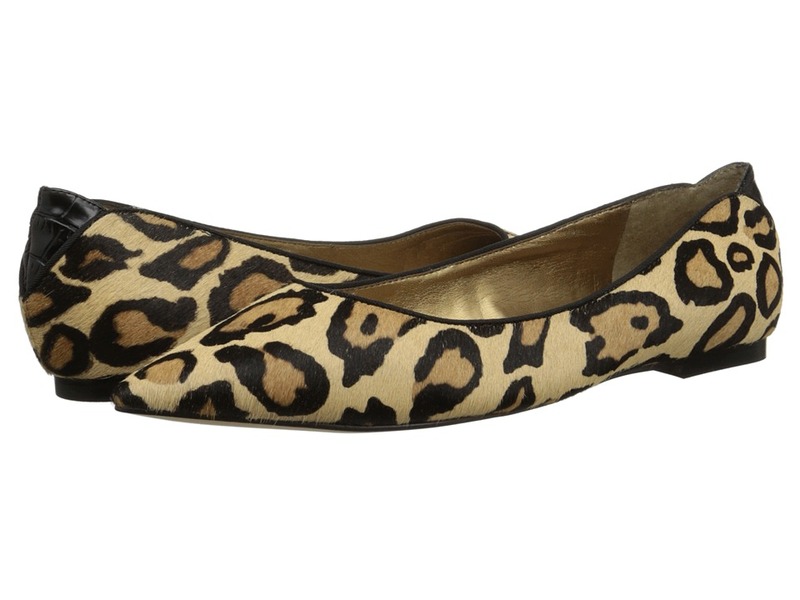 Faux reptile upper in a dress pump style with a pointed toe. Smooth lining with a cushioning footbed. The sweeping, crisscrossed leather upper and slender, reptile print-wrapped heel give the Luce sandal by Calvin Klein its unique, elegant style, while smooth manmade lining ensures lasting on-foot comfort. Cushioned footbed. Heel height 3 inches. Leather upper. Manmade lining. Partially-wrapped heel. Slip-on entry. Remix your style in these Jordan shoes with a stand-out reptile skin pattern. Textile and leather upper for a clean, premium look and feel. Reptile skin pattern is embossed on the midfoot strap. Lightweight and flexible midsole for cushioned comfort. 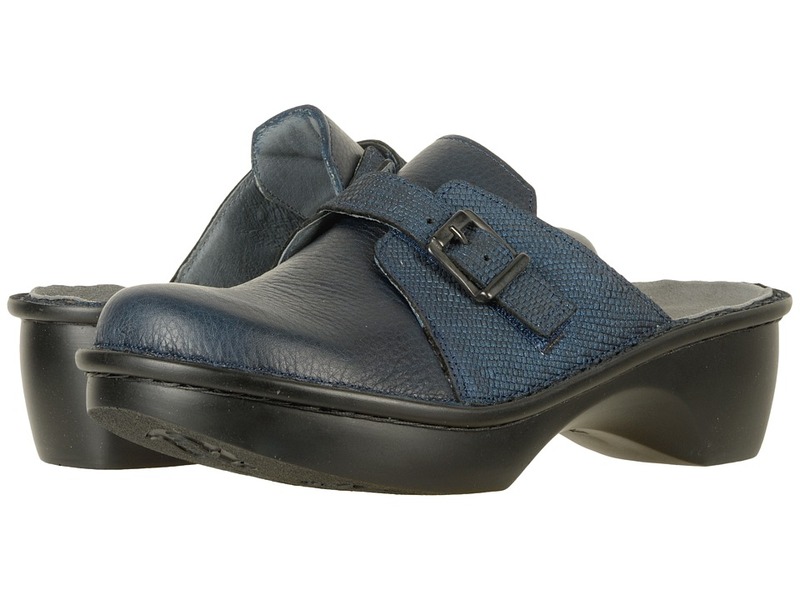 Every step will be in comfort and style with the Mephisto Adelie sandal. Reptile-print leather gives the upper an exotic flair. Dual adjustable straps at the ankle assure a proper fit. Soft suede footbed helps keep moisture under control. Cork midsole and heel absorbs shock and molds to the foot shape. All rubber outsole is flexible and helps maintain grip. Imported. Measurements: Weight: 7 oz Product measurements were taken using size 37 (US Women~s 7), width B - Medium. Please note that measurements may vary by size. Weight of footwear is based on a single item, not a pair. ~Holy toledo! Where did you get that awesome belt?~ That~s what you~ll be hearing all night long when you show up to the party wearing this snazzy belt from Brighton! Constructed of leather. Reptile-embossed design throughout. Silver-tone hardware. Single-prong buckle. Single strap keeper. Made in the USA and imported. Measurements: Width: 1 1 4 in First Hole Length: 32 in Last Hole Length: 36 in Weight: 5 oz Product measurements were taken using size 34. Please note that measurements may vary by size. Amiana recommends selecting one size up from your normal size for best results. 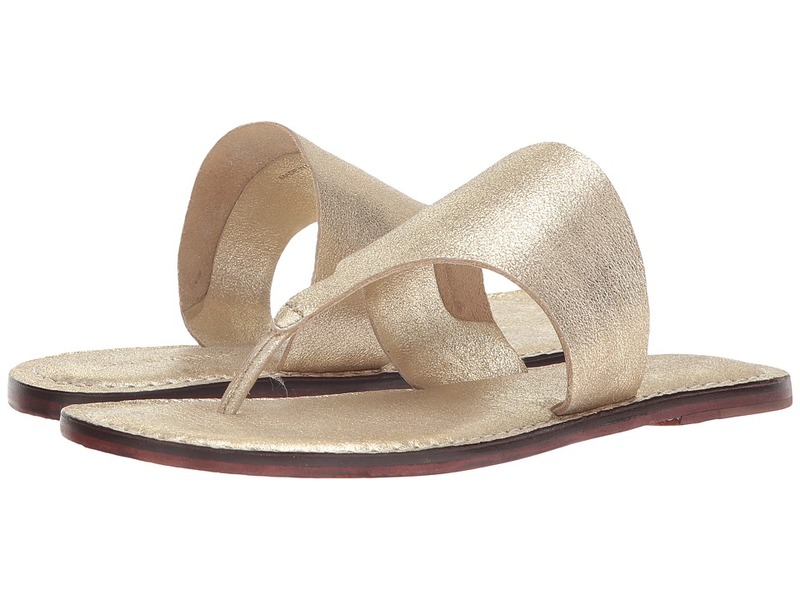 You~re sure to be a style standout whenever you step out in the gleaming glamour of these gorgeous Amiana&amp#174 sandals. Synthetic upper with an allover reptile print and a gorgeous metallic sheen. 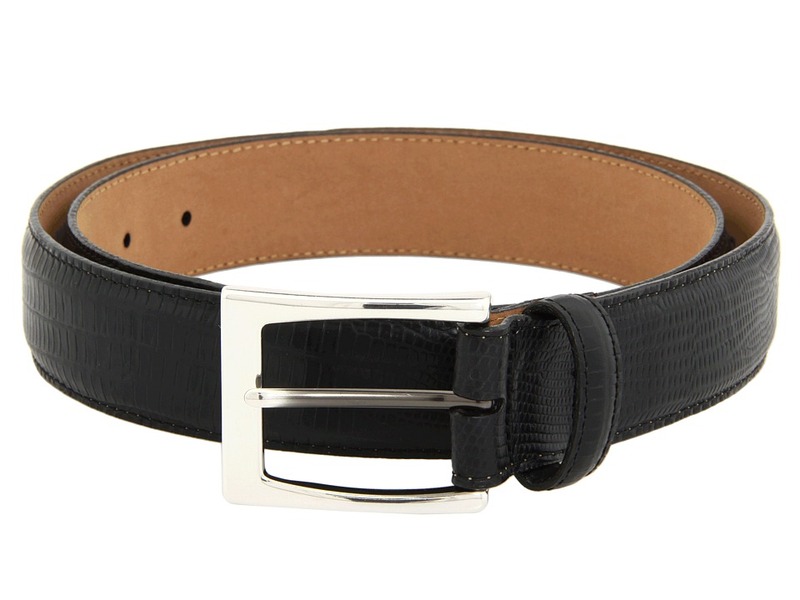 Buckle closure at the ankle allows for a secure yet adjustable fit. 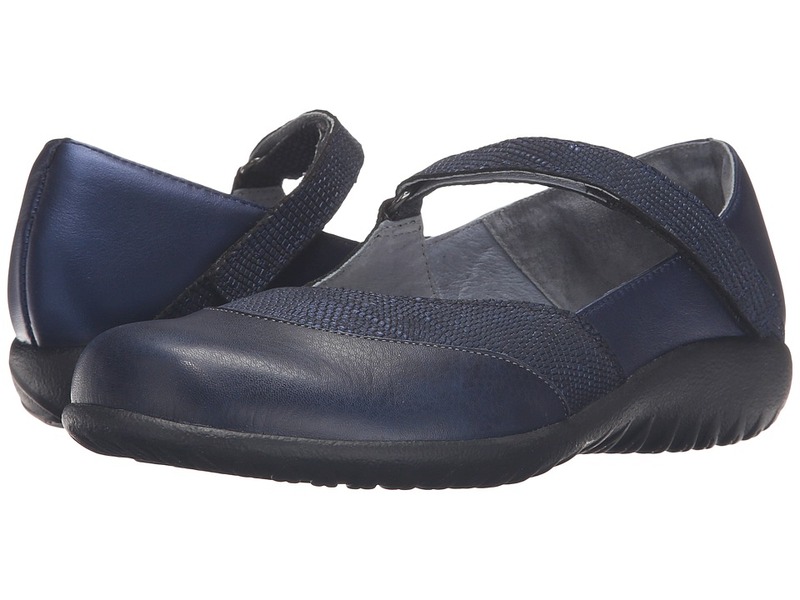 Man-made lining and a man-made footbed that is cushioned for comfort. Stylish kitten heel. Durable rubber outsole. Imported. Measurements: Heel Height: 2 1 4 in Weight: 6 oz Product measurements were taken using size 38 (US Women~s 8), width M. Please note that measurements may vary by size. Weight of footwear is based on a single item, not a pair. Slip into the stunning design and plush comfort of the Monica sandal, from Bernardo. Reptile embossed leather upper. Slip on construction. Leather lining. Padded leather footbed. Leather outsole. Made in Brazil. Measurements: Weight: 5 oz Product measurements were taken using size 7.5, width M. Please note that measurements may vary by size. Weight of footwear is based on a single item, not a pair. Put your style in high gear with these fierce Caty boots from Matisse! 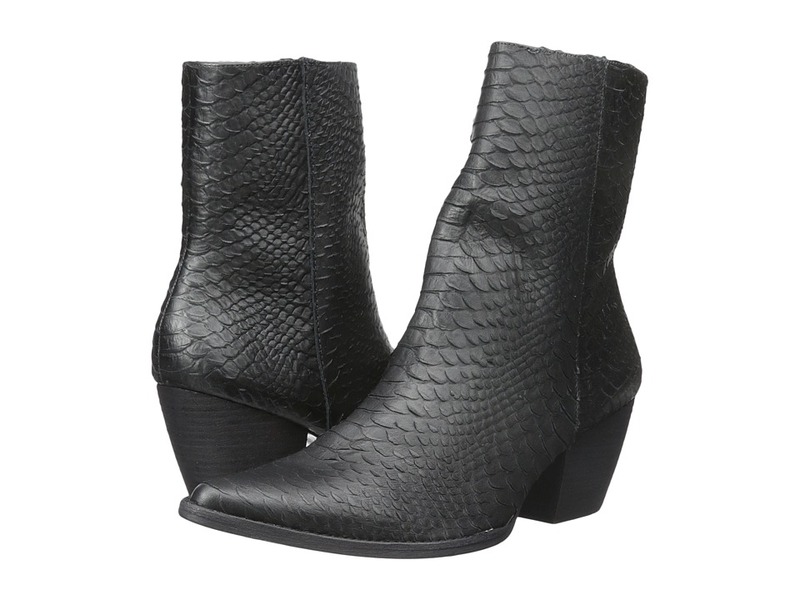 Reptile-embossed leather upper. Side zipper construction. Pointed toe silhouette. Synthetic lining. Lightly padded leather footbed. Stacked block heel. Leather outsole. Imported. Measurements: Heel Height: 1 3 4 in Weight: 12 oz Circumference: 8 1 2 in Shaft: 7 3 4 in Platform Height: 1 4 in Product measurements were taken using size 6, width M. Please note that measurements may vary by size. Weight of footwear is based on a single item, not a pair. The Luga is part of the Naot Koru/Creation Collection and runs as a Medium Width. 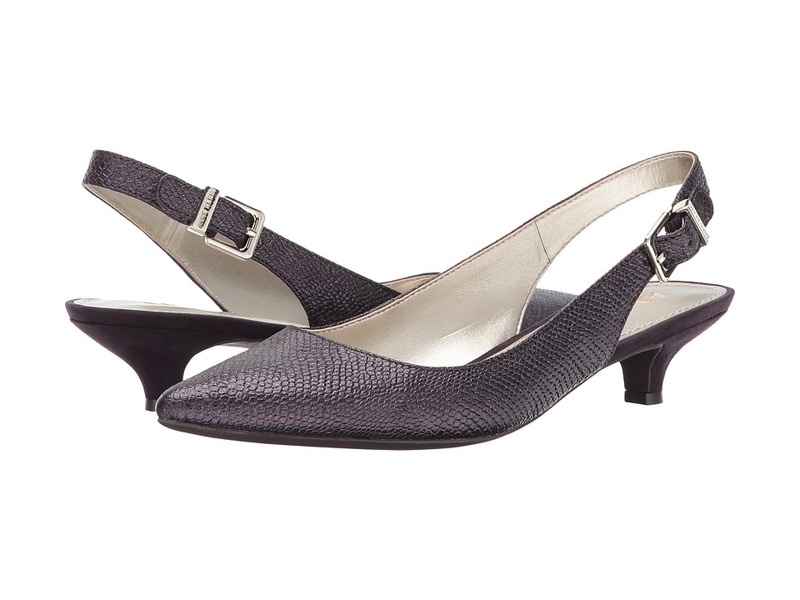 A fashionable mary jane that lends a graceful touch to any ensemble. Combination leather upper (view in color drop down) Hook-and-loop closure. Padded technical lining provides comfort, warmth, and absorbs moisture. Removable, anatomic cork and latex footbed is wrapped in pampering suede and molds to the shape of the foot with wear. Durable polyurethane outsole. This collection uses a hand-sewn strobel construction making it strong and extremely flexible. Imported. Measurements: Weight: 10 oz Product measurements were taken using size 40 (US Women~s 9), width M. Please note that measurements may vary by size. Weight of footwear is based on a single item, not a pair. The Hilda is part of the Naot Scandinavian Collection which runs as a Medium Width. 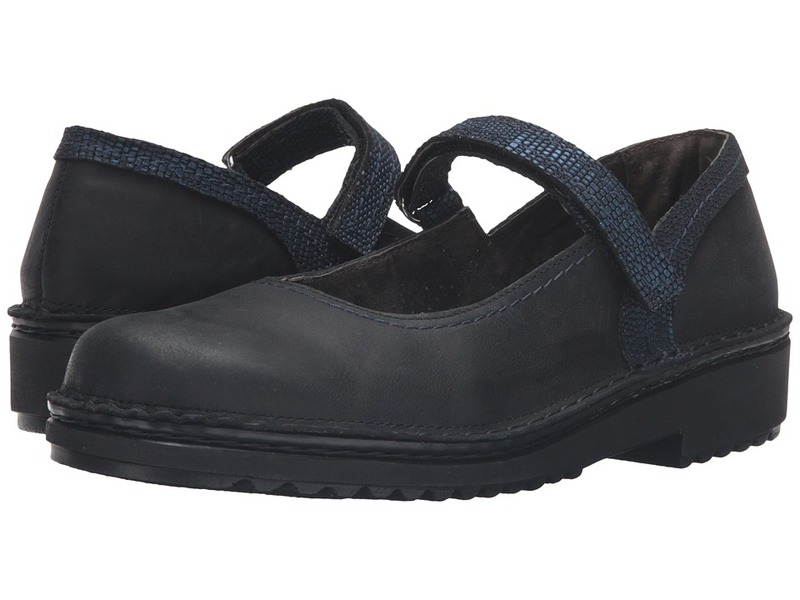 The Hilda has more of a rugged take on your classic mary jane so spice up your look whenever you~re feeling frisky with this cool-weather must-have by Naot. Nubuck and leather or leather upper. Hook-and-loop closure. Leather lining. Removable, anatomic cork and latex footbed is wrapped in pampering suede and molds to the shape of the foot with wear. Durable polyurethane outsole. Imported. Measurements: Weight: 10 oz Product measurements were taken using size 40 (US Women~s 9), width M. Please note that measurements may vary by size. Weight of footwear is based on a single item, not a pair. 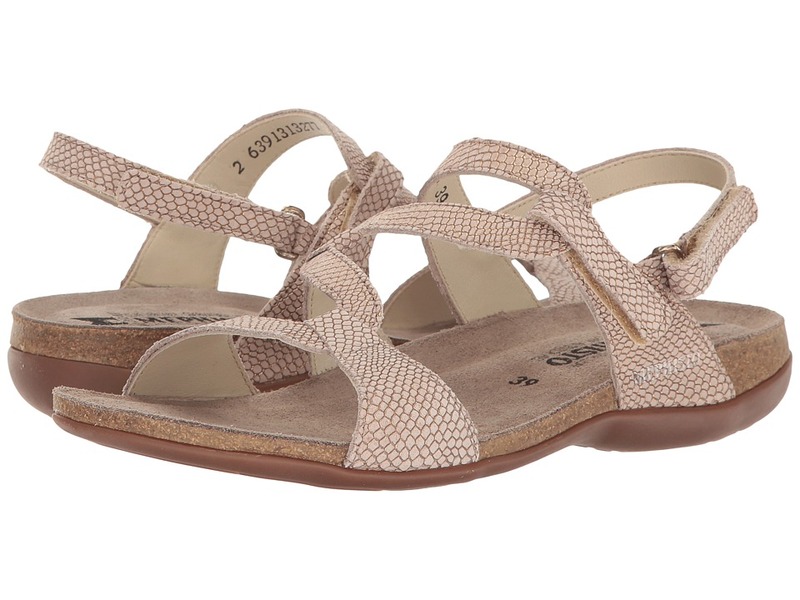 The Avignon sandal is from the Naot Cosmopolitan Collection, which runs as a Medium width. Explore the city in the stylish Avignon sandal. Smooth leather upper with an adjustable buckle. Removable, leather lined insole adjusts to your feet like a footprint in the sand. This alignment improves within a short time so the feeling of comfort increases as time passes. Anatomical support distributes the weight of the body equally over the entire foot, massaging and releasing pressures caused by other parts of the body. Flexible, shock-absorbent sole enables the foot to move gently and continuously. Measurements: Heel Height: 2 in Weight: 11 oz Platform Height: 1 in Product measurements were taken using size 40 (US Women~s 9), width M. Please note that measurements may vary by size. Weight of footwear is based on a single item, not a pair. 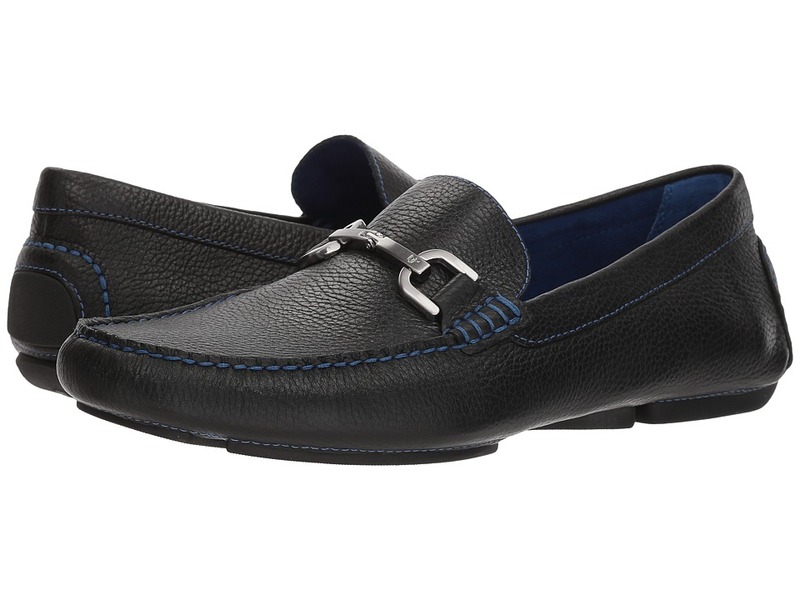 Sleek lines, rich leathers and a touch of modern hardware make this driver moccasin elegant and sophisticated. Suede or reptile-embossed leather upper. Slip-on construction. Single metal bit detail. Moc toe. Fabric sock lining and padded insole. Rubber sole. Imported. Measurements: Weight: 12 oz Product measurements were taken using size 11, width M. Please note that measurements may vary by size. Weight of footwear is based on a single item, not a pair.